This is old news but is something I could never get to work, until now! 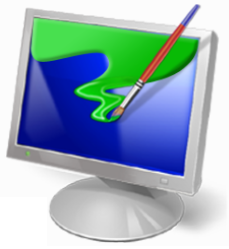 Windows users have always enjoyed customising their Desktop with new icons, cursors, sounds, wallpapers and even title bar colours. One of the problems is that you can easily get bored with staring at the same picture everyday. Windows 7 includes the option to have a slideshow of pictures rather than one static image but even that can be cumbersome to keep fresh. One way around this is to use images supplied by RSS. If you aren’t familiar with RSS then you can check out the info here but basically it’s a way of getting automatic website updates. This can be seen in the Bing Dynamic theme provided on Microsoft’s Personalization website. Unfortunately, it isn’t as simple to add your own RSS theme as a background slideshow. I tried creating one using the SimpleDesktops.com RSS feed to no avail. It turns out this is because the image links in the RSS feed can’t just be URLs (like when displayed on a website or feed reader). They have to be enclosures (which is like an email attachment). I have yet to come across any website that includes images this way so I gave up trying. However, I accidentally stumbled across an article on Greg Duncan’s Cool Thing of the Day blog that revealed a secret to get it working with Flickr feeds. If you want to see an example of this then download my Macro theme here (only 1.1.KB) and open the file using notepad. You’ll see its pretty simple to understand. The RSS URL is right at the bottom if you want to change it to another feed. RSSFeed specifies an RSS feed to use as the background slide show. For the feed to work, you need to reference high-resolution images adhering to the “enclosures” standard used by the Windows RSS Platform. Because of this limitation, .theme files that include an RSS feed must be created manually. If you find any good sources of images or want to share your own themes then give them a shout in the comments. I am not able to open your *.themepack via notepad. Maybe I’ll try to build such a feed myself with it. shouldn’t be that hard. I’m using feed43.com a lot for creating custom RSS feeds from existing webpages this might help to get a working rss feed from other sites. Not sure why you couldn’t open the file, I just tried again and it worked OK for me?!? Good shout on the Paramount theme. Nice to see some companies using dynamic themes, a person is much more likely to stick with it if they keep updating the feed with cool images. Thanks A LOT! I was trying with Flickr collections but couldn’t get it to work. Now it’s working like a charm! Got mine to work!!! Thanks! If you cannot open the .themepack file just rename the extension .themepack to .zip — then open the .theme file inside. That should be openable and editable once you extract the file.